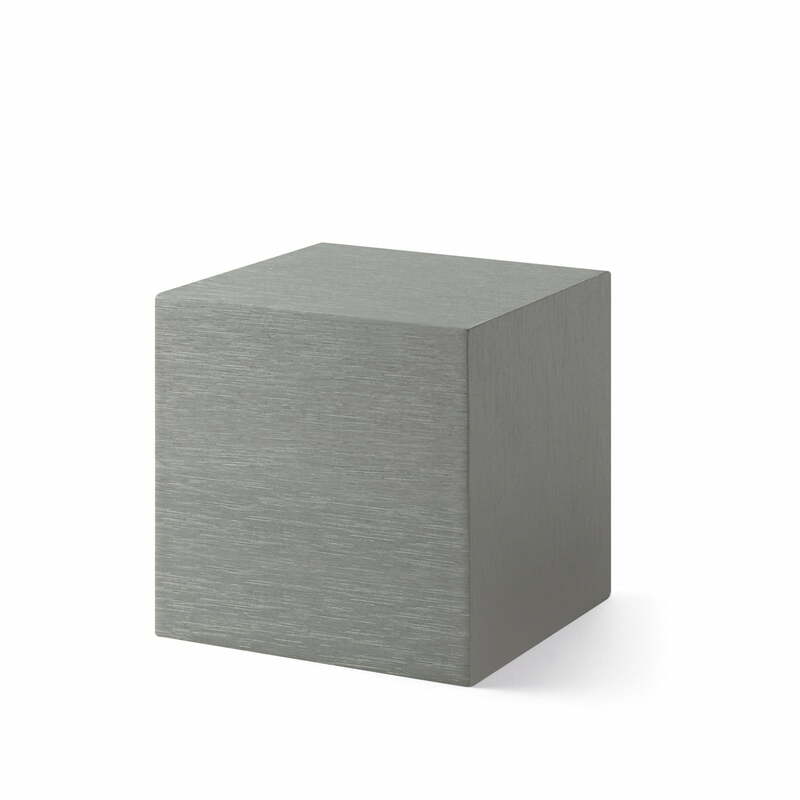 At first glance the Alume Cube clock with LED display from the MoMA collection looks like a modern metal cube in a wood look without any function. But by tapping it or clicking your fingers the time, the date and temperature appears on the cube as if by magic and automatically disappears again. The clock has three alarm modes, which makes it the perfect alarm clock on the bedside table, whether you're at home or on the road. In addition, the white LED display brightness can be individually dimmed. The temperature can be displayed both in Celsius and Fahrenheit and therefore meets different needs. A USB port to connect the alarm clock to the socket is included in delivery. The Alume Cube Clock can also be operated wirelessly with three AAA batteries which are not included in delivery. 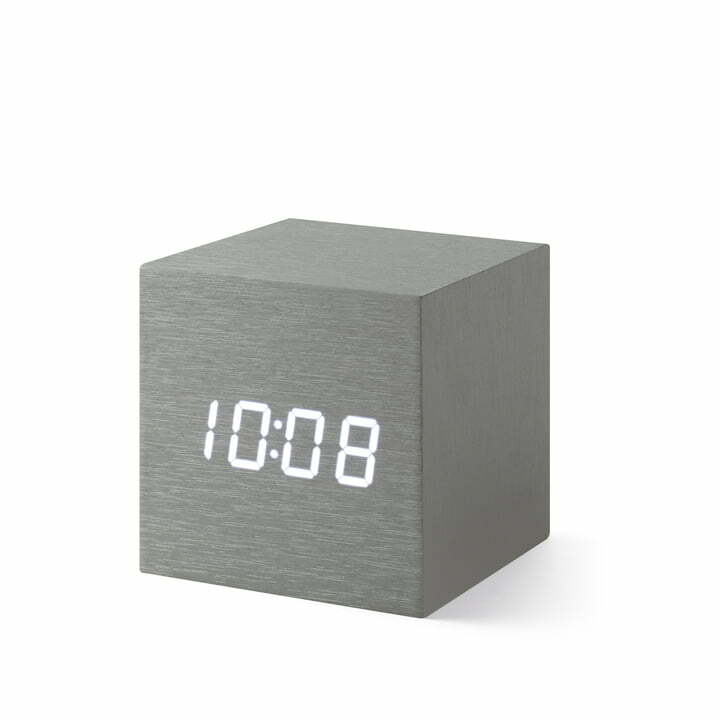 By a light touch or flipping with the finger, the Alume Cube Clock from the MoMA collection displays the time, date and temperature on its LED display. The Alume Cube Clock with LED display by MoMA collection turns off automatically, is dimmable and at the same time an alarm clock and thus perfectly suited for the use at home and on the road.